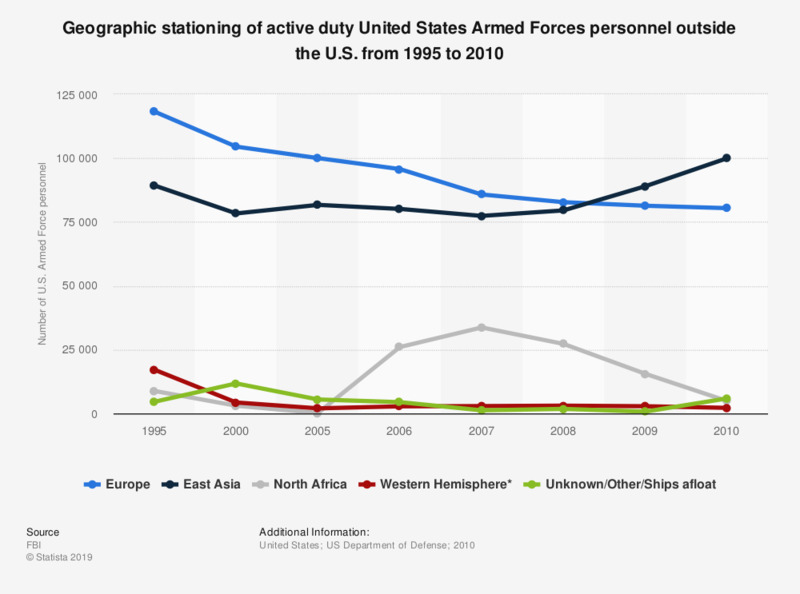 This statistic shows the number of active duty United States Armed Forces personnel stationed in different regions outside the U.S. from 1995 to 2010. In 1995 there were 17,132 Armed Forces personnel stationed in the Western Hemisphere as compared to 2,185 in 2010. *Western Hemisphere doesn't overlap with the U.S. or U.S. territories.